Egypt’s military said Monday that 36 militants, an officer and three soldiers were killed over five days during a sweeping operation against ISIS group militants in Sinai. The army launched the campaign on February 9 after Egyptian President Abdel Fattah al-Sisi, who is standing in elections this month for a second term, gave it a three-month deadline to crush ISIS in the Sinai. 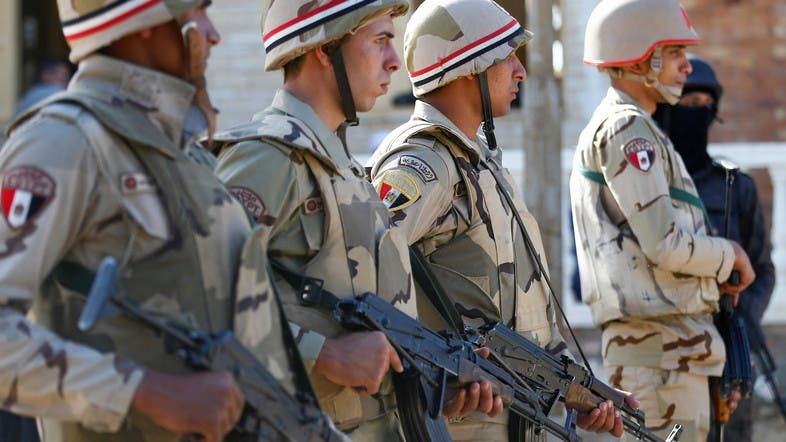 Security forces "eliminated 30 armed elements during a shootout with raiding forces" in the northern and central Sinai Peninsula, the military said in a statement. A police shootout also left six dead and destroyed "an extremely dangerous terrorist cell," it added. Over the past five days, soldiers also arrested 345 people "including a number of extremely dangerous militants and fugitives," it said. An officer and three soldiers were killed in the fighting, while three officers and five soldiers were injured, it said. Sisi issued his ultimatum in November after suspected ISIS gunmen massacred more than 300 worshippers at a Sinai mosque. Security forces have sought to quell attacks by an Egyptian militant group that later declared allegiance to ISIS. The militants have also killed scores of Christians in church bombings and shootings.